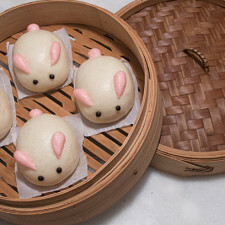 I know that I’ve titled these buns as doushabao, but they’re also called Jjinppang (찐빵 – “steamed bread”) in Korean, and Anman [あんまん – “(bean) paste bun”] in Japanese. 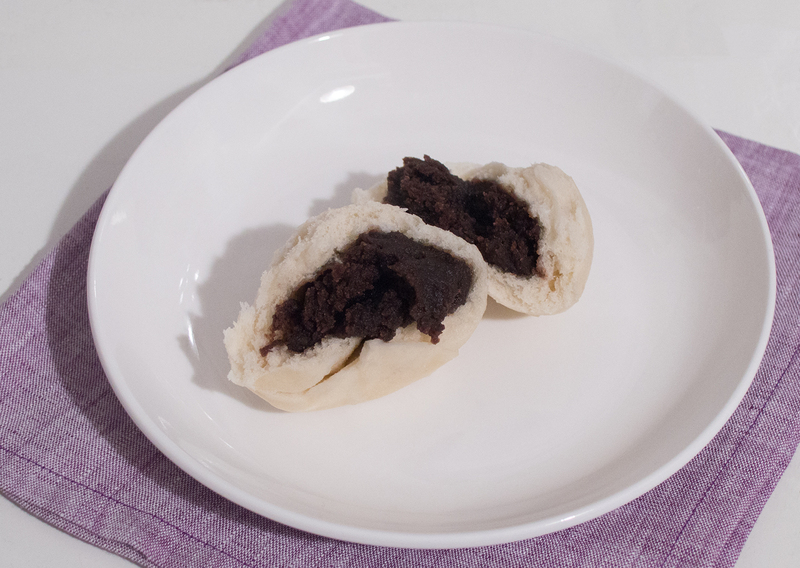 Red bean is one of the most common flavors in Asia, and the buns are definitely loved for its sweet bean filling and pillowy exterior. Kitty and I have eaten so many of these buns, and we haven’t tired ourselves one bit! We’ve made these packed with filling to make them extra delicious! Make 18 balls of 35g of bean paste, and lay them all on a plate. Divide the dough into 38g balls. There should be around 18 equal pieces. Flatten and shape into circles, with the outer edge thinner than the center. 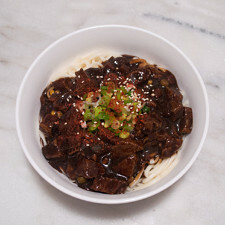 Place the bean paste in the center and encase the paste with the dough. Press and seal the dough well. Place seam-side down onto a piece of parchment. 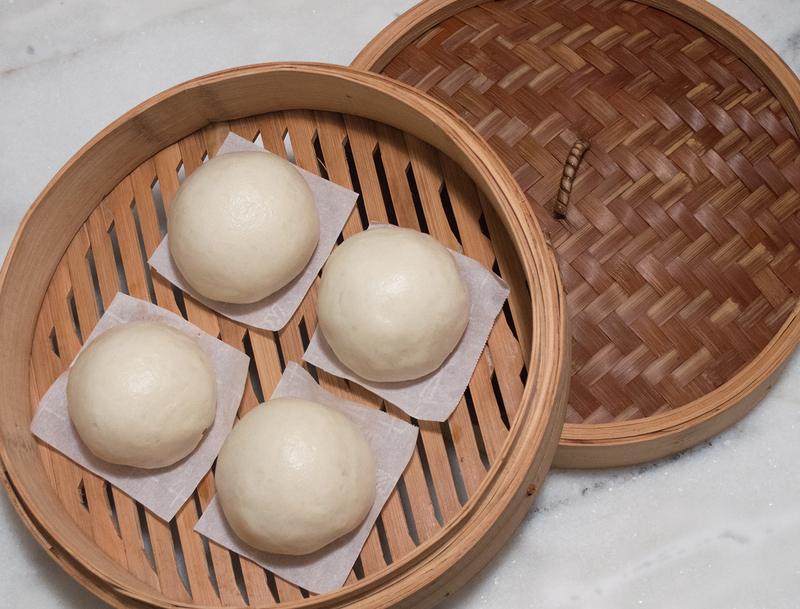 Steam in a bamboo steamer for 10 minutes, and serve immediately. 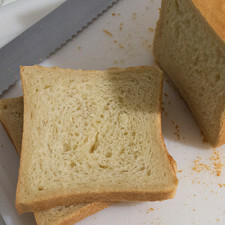 Any leftovers can be stored in the refrigerator for 5 days, or frozen for a month. 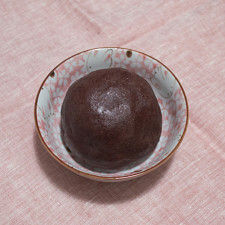 It's easier to roll the bean paste into balls when they have been refrigerated, or at least, room temperature. I measure out my paste ahead of time to make the wrapping process faster. Making the edge of the dough thinner allows for more even distribution of bun dough, especially at the overlapping part of the bun (the seam). I pre-cut some parchment squares to place each bun on each piece of square. I set them all into bamboo steamers and covered them in plastic film to prevent drying, while I'm making the rest of the steamed buns. Just remember to remove the plastic before steaming the buns. Letting them rest for a little while helps proof and relax the dough, which helps in the overall texture. This can be as short as 10 minutes (the time it takes to bring the pot to a boil, to make ready the steamer), to 30 minutes. 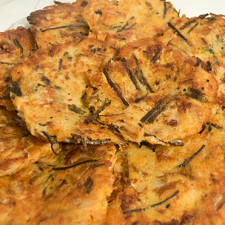 If you want to make these ahead of time, steam them, let them come to room temperature, then seal them in a container. Refrigerate or freeze. Reheat the buns by steaming them for a few minutes, or microwaving them for 20-30 seconds. Made our Recipe for Dòushā Bāo (豆沙包) - Red Bean Steamed Buns? Here’s one opened up to show the filling! 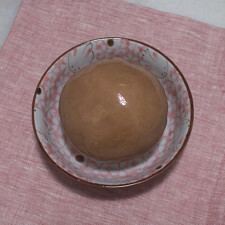 No thoughts on "Dòushā Bāo (豆沙包) – Red Bean Steamed Buns Recipe."